When it comes to welcome bonuses, online casinos are constantly trying provide better deals compared to their competitors. With such a saturated market when it comes to casino bonuses, websites have to really stand out to be noticed by their potential new players. Some offer extras such as free spins or prize draws but at 888casino, the draw seems to be pure generosity with their Premium Welcome Package. If you use the correct codes within the first 7 days of signing up, you can expect to gain up to €1,500 in bonuses. All you have to do is take the few simple steps to fully register and then make your first deposit using the promo code, Welcome 1, and you will receive and instant 100% bonus up to €100 to play anywhere in the casino, whether it’s on slots, poker or roulette. Once you have wagered that first deposit 3 times, you can start claiming four more deposit bonuses at 30% up to €350 over the next 7 days. Each one has its own promo code which can all be found on the promotion’s page so make sure each one is entered correctly to receive the full benefit of the bonus. If you want something that’s just a little taste of the bonuses you’ll get once you’re a fully fledged member, then you may want to try the €88 no deposit bonus. Exclusively for new players, this offer will give you €88 FreePlay to use on selected casino games. Once signed up, you will get an email inviting you to claim the offer and then you will have 14 days to play with it. The welcome bonus is just the start of a wonderful gaming journey with 888 where you can benefit from loads of great deals, with new ones being added all the time. In February, you could have participated in the 2018 Chinese New Year deal where, if you made a deposit with the promo code: LUCKY, you could enjoy 25% up to €300 in FreePlay. You could use the code up to 30 times during the promotion so you’d be able to benefit from bonus on up to €9,000 worth of deposits. The live casino has many of its own promotions where you can win cashback from the Elite Lounge, receive bonuses for specific games and take part in competitions with great cash prizes. There are two regular monthly features on the promotions pages. On the 1st of every month, 26 888casino members will be selected from those who logged in that day and will win a share of €888. There’s no deposit needed and the bonus can be played anywhere in the casino. And then on the 21st, it’s time to enjoy a 20% bonus up to €300 to play on Multihand Blackjack. Every single day there is a new Daily Deal to pique your interest. There are bonuses and prizes up for grabs from all through the week and they come from all parts of the casino. If you love table games, your new midweek treat is sure to be Table Tuesday where you can get 30% up to €150 when you play on three classic table games. If slots are more your thing, then Thursdays will become your favourite day of the week, when you can get 20% up to €100. You will also be able to earn rewards just for playing as you normally would with 888casino’s Comp Points scheme. Wager real money as normal and for every €10 spent you will receive 1.35 Comp Points. Build up your points balance and exchange them for cash. 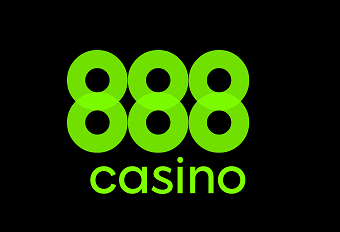 Mobile casino users will be able to take the 888 experience wherever they go with an app available on iOS and Android with a large variety of slots and games from their selection are available to play on your mobile devices, wherever you can get an internet connection. The site is also fully optimised for small screens so you can always access the full casino from your mobile browser. Like all online casinos, 888casino applies terms and conditions to their bonuses that are standard to the industry. All of 888’s terms are displayed openly on every promotion’s page so you can see what to expect straightaway but, even with clear, upfront conditions, there are always a few things to keep in mind. Something you will come across a lot in the online casino industry is wagering requirements. When you receive funds as bonus money or winnings from free spins, it cannot be withdrawn instantly and the value must be wagered a certain number of times before it is released as cash. At 888 this wagering requirement is usually set at 30x, which means if you receive a €10 bonus you will have to wager €300 before any winnings can be withdrawn. It’s also good to keep in mind that not all games will contribute to the wagering requirements in the same way. For example, slots, keno and dice games will contribute 100% whereas other card and table games will contribute 5%-20%. Your bonus money also has other limitations that you should bear in mind. It will only be available on your account if it it remains active so if you do not log in for 90 days all bonuses and Comp Points are forfeit.